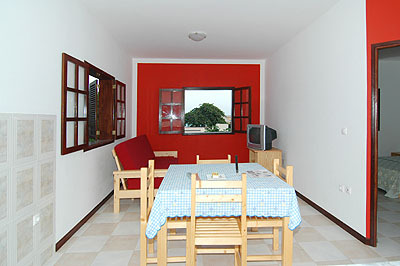 Vila das Pombas is the main-settlement along the shore where the valley of Paúl meets the sea. 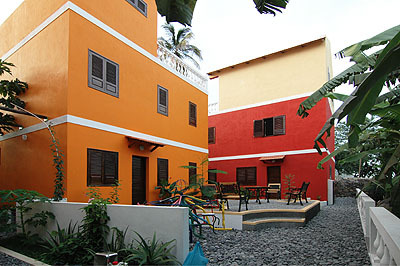 A few colonial buildings hide within the sugar-cane plantations and so does this brandnew italian style B and B guesthouse. To find it, you have to follow a small pathway in the shadow of banana-trees. 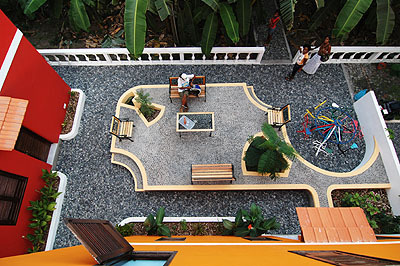 Children play, never disturbed by a car and rooms are named after Gulliver and Phileas Fogg. The owner is a successful writer and author of several books for children. 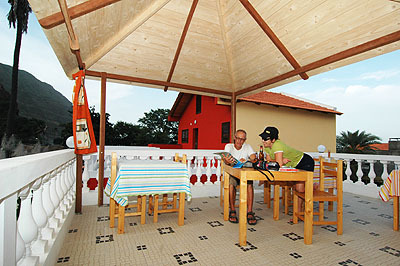 Nested in the fields, Aldeia Jerome is a peaceful and quiet place for hikers, but not only. 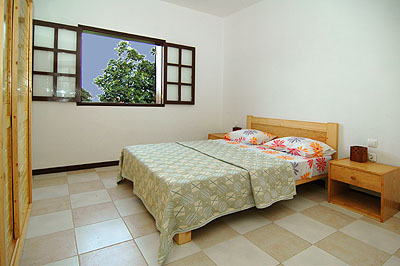 The relaxing environment invites anybody looking for some relaxing weeks of holiday in isolation - as long as you want. Passing under the banana-trees and through a doorway brings you back into civilazation within a minute. 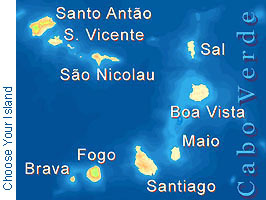 Vila das Pombas is a good starting point for the hikes 101, 102 and 103 up into the valley of Paúl and to the summit of Pico da Cruz. Guests can start long before sunrise and enjoy the best time of the morning walking. The continental or better to say italian breakfast is served on the terrace with a nice view. For supper guest go to the nearby restaurant Morabeza. 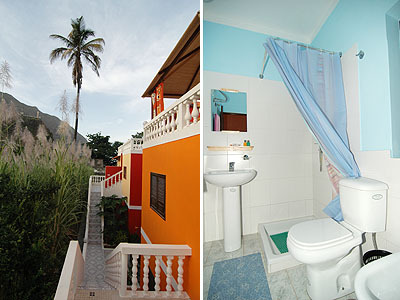 Rooms are, like everything in this house, brandnew, well equipped, all with private shower / WC. To reach the next supermarket, bank, postoffice and all other kind of urban facilites takes at least half an hour by bush-taxi. Spoken: Creole, Italian, Englisch, French, Portuguese.